When eight-year old Brian was told he would never curl his tongue because it was hereditary, he practiced in front of the mirror for days until he learned. He has stubbornly ignored conventional wisdom since. Brian now runs his second company, MotorsportReg.com, an online registration service and marketplace that makes it more fun to organize and attend motorsport events. Behind the screen, he leads a team helping nearly 1,000 clubs, racetracks and sanctioning bodies organize, promote and manage 4,500 events annually. Behind the wheel, he is a national racer, championship winner and finisher of a 25-hour endurance race. Previously, Brian co-founded San Francisco design and technology firm VFIVE. Award-winning web work for Macromedia, Yahoo and Billabong led to an acquisition by global agency IconMedialab. He also once played the role of journalist, flying in a Soviet-era helicopter to cover the TransSyberia Rally from Moscow to Ulaanbataar for SPEEDTV.com. Brian lives near Sonoma Raceway in San Rafael, California with his wife, dog, racecar, motorcycle and shifter kart. 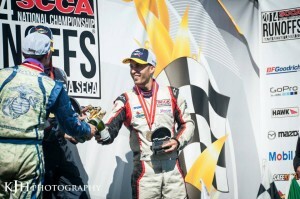 He serves on the Board of Directors for Thunderhill Raceway Park and formerly for San Francisco Region SCCA. See his work history and references on LinkedIn. To contact Brian, send an email.